Good morning/afternoon y’all, can you believe it’s already MID November?! It’s so interesting to see how quickly time flies, but we hope that you’re achieving the goals you set out for yourself this month as well as this year. Let’s talk long wear makeup! Imagine it being your wedding day and after hours of everyone getting ready and beautified, no one’s makeup lasts even up to the ceremony! The last thing that you want to be stressing over on your wedding day is your makeup not holding up as it should, and with Charleston weather, it’s really important to be prepared for all of the elements. This week we’re bringing you some info about some of the best long lasting foundations to keep you feeling your best through getting ready, pictures, the ceremony, and past the reception. Keep reading to get the details! WE LOVE THIS PRODUCT!! If you’re looking for makeup that’s going to not only long wearing, but that is perfect for outside weddings, this is the foundation for you!! This foundation offers excellent coverage, and does not budge one bit. It also is a very inclusive product, boasting a total of 50 shades for beauties of all tones. Though it’s marketed to those with oily skin, this foundation works wonders for all skin types as well. It’s definitely worth noting that this foundation is transfer proof and is very similar to airbrush makeup! This foundation is incredible! This product also has a very inclusive shade range, and in fact was recently revamped in collaboration/partnership with YouTuber Jackie Aina. As stated in the graphic above, this makeup will last you about 12 hours, leaving plenty of time for you to dance the day/night away and enjoy our beautiful Charleston weather! You won’t experience any flashback with this foundation either, making it perfect for when you have photos done. This is a great product for our oily gals! This is another product that is absolutely wonderful if you’re looking for makeup that lasts all day! 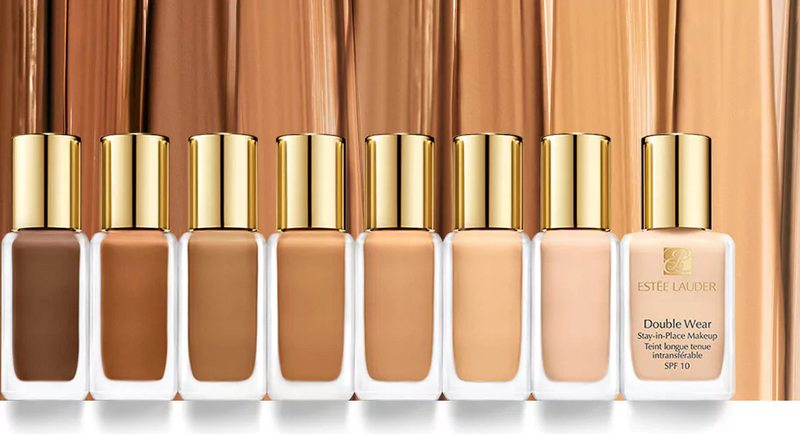 While this foundation in particular doesn’t have quite the extensive shade range as the previously mentioned products, it does have something for almost everyone and is relatively easy to shade match through other means. Similar to the others, this foundation is also medium to full coverage, and lasts up to 16 hours! If you’re looking for a foundation that itself neutralizes discoloration in the skin, this is the one for you, though we do recommend that you follow up with a concealer if necessary. Did any of these products stand out to you? Have you heard of or tried any of these out yourself? With just enough time until Black Friday, be sure to snag one or some of these foundations to try them out!